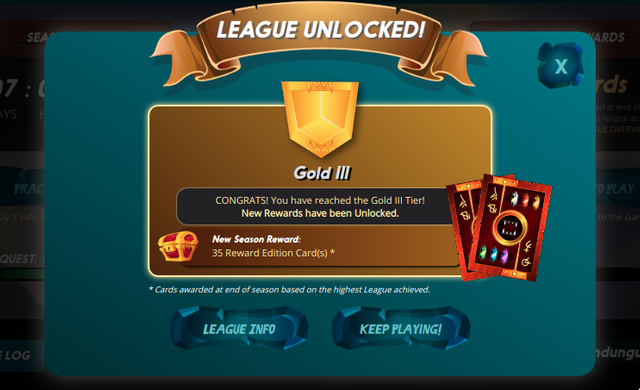 Steem Monster Daily Quest Results: I Got New Cards ! 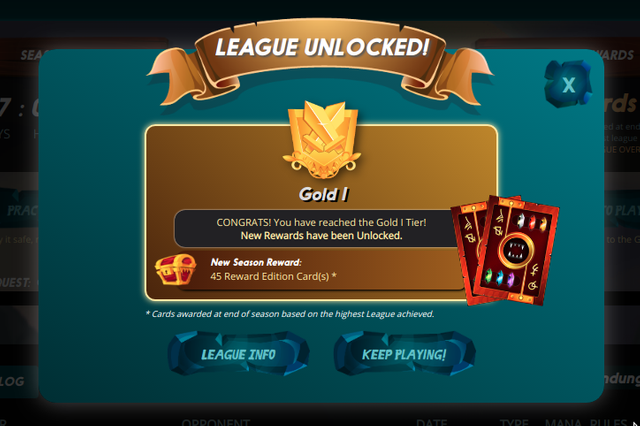 Today was a great day, I played until I reached the Gold Level, to me this is the greatest league I have been able to achieve. 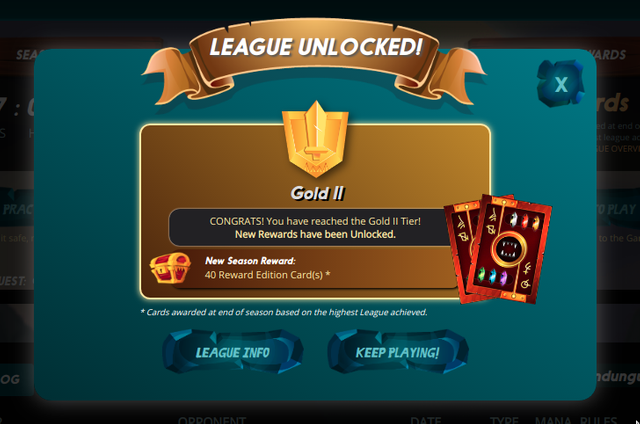 this means I get to increase my daily rewards to 10 steem monsters, previously on the silver league I was only able to get 5 rewards cards, this is an opportunity for me to maximize my daily returns before the season ends in 7 days. 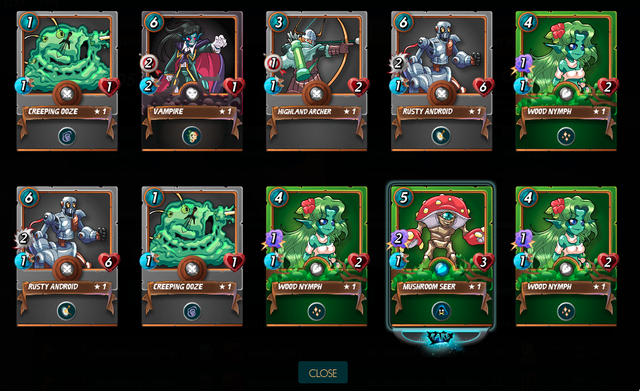 New Steem monsters Cards were released yesterday, and today I was able to get some! I got two creeping ooze with 1 mana very very rare, being a neutral creeping ooze means I can use them combines with any monster elements in the battle. I also got three of Wood Nymphs with the healing ability! a very rare mushroom seer, A Vampire to level my Vampire, A highland Archer and two Rusty Androids. If you would like to get yourself some steem monsters, buy some steem monsters here using steem, SBD or VISA Card or check out my latest giveaway post. I give out steem monsters cards every season on my giveaway posts so make sure you follow me @jamesndungu which is the same handle you can challenge me with on steem monsters. You just got a 1.5% upvote from SteemPlus!